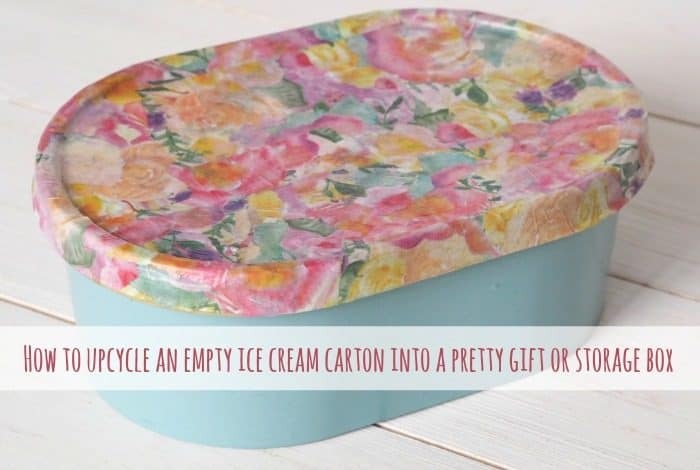 How to upcycle an empty ice cream carton into a pretty gift or storage box…. 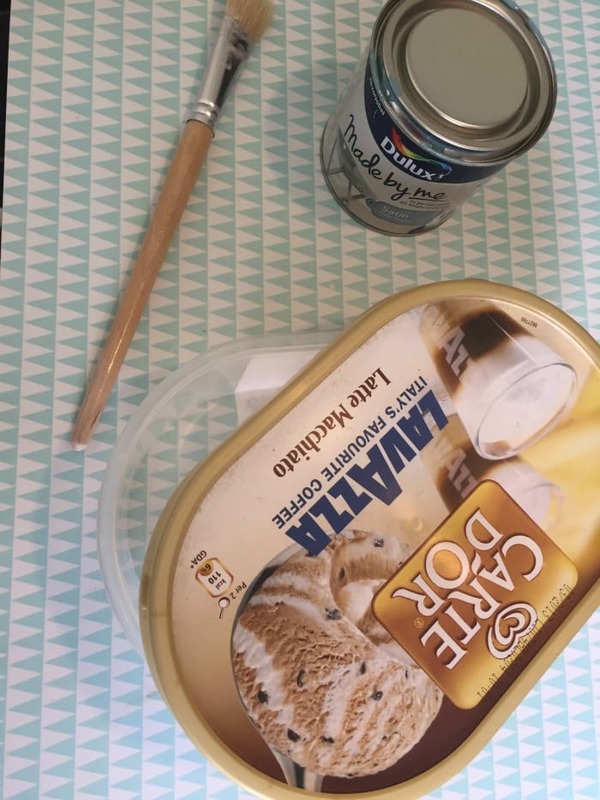 Have you ever wondered how you could upcycle an empty ice cream carton to make it into something pretty and useful? 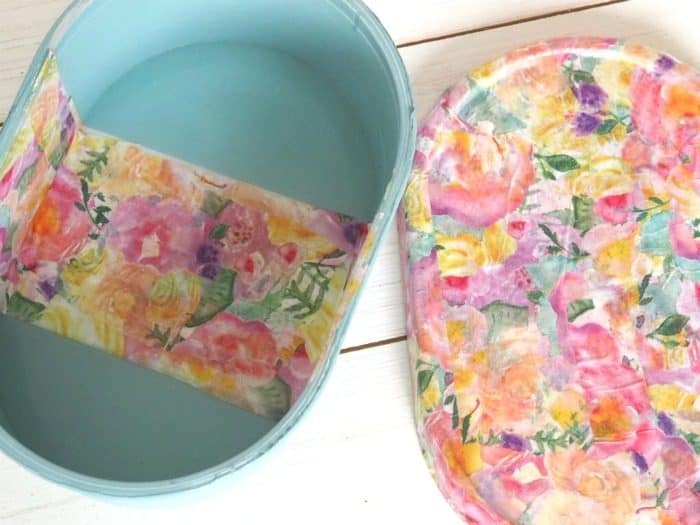 I’d imagine your answer is no to that question but now that I’ve put the question into your mind I’m going to answer it for you by showing you exactly how you can upcycle an empty ice cream carton and turn it into either a git box or a cute little storage box for your bits and bobs. 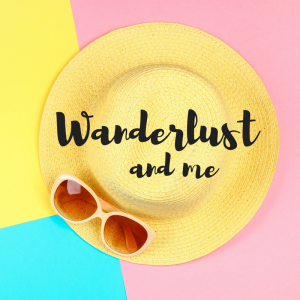 First of all you need some paint that will work on the material of your ice cream carton – I use the Dulux Made by Me paint which I bought from the car boot sale not long ago. 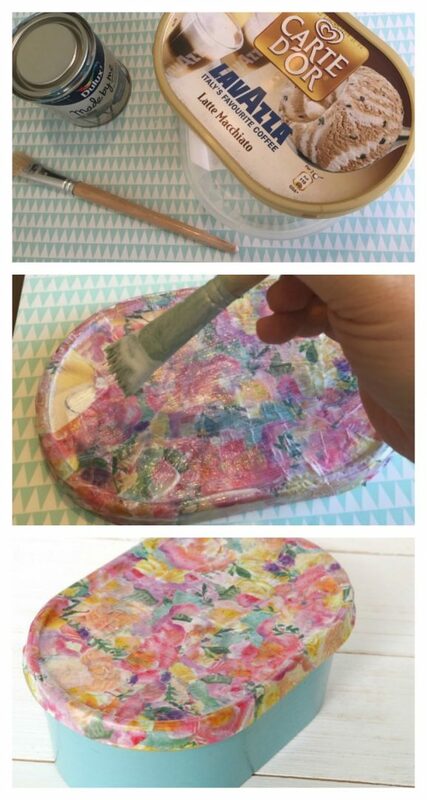 I painted the outside of the rub but I left the lid as I had other plans for that! 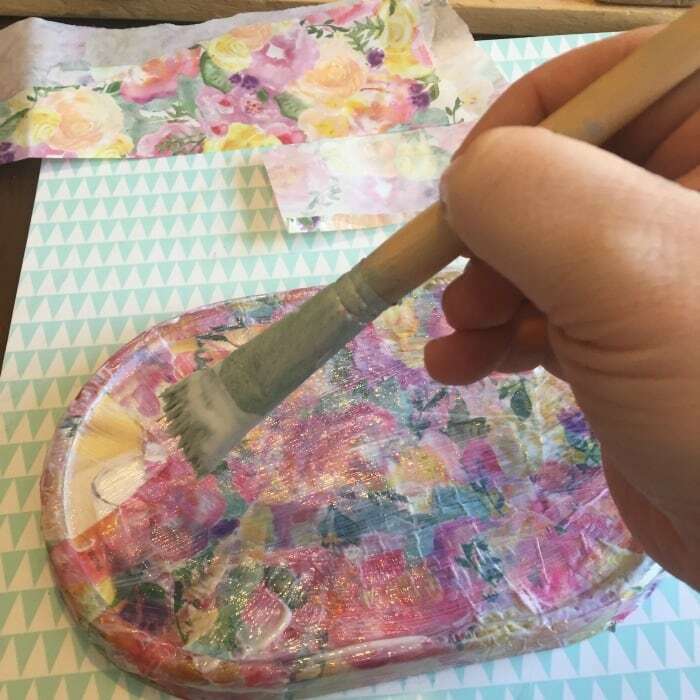 The box lid was decorated with some deco mache papers using the deco mache glue that I was given at the recent Trimcraft Bloggers day but you could just as easily use some pretty tissue paper and my homemade mod podge glue. 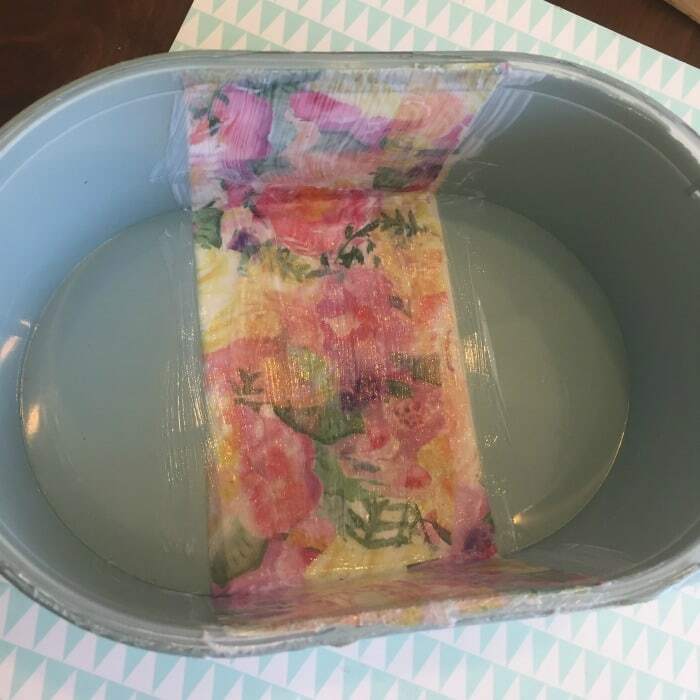 I also did a stripe inside the box where you could kind of see the wording from the outside through the plastic. Next I just left it to dry overnight and I think the finished result is pretty good…. 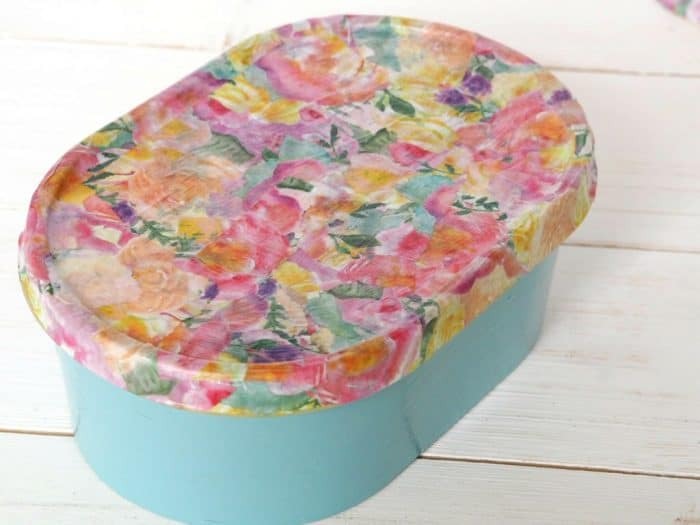 I think it looks pretty good and definitely nice enough to use as a gift box but I’m actually going to use it to store my nail varnishes in as it looks fab on my windowsill. 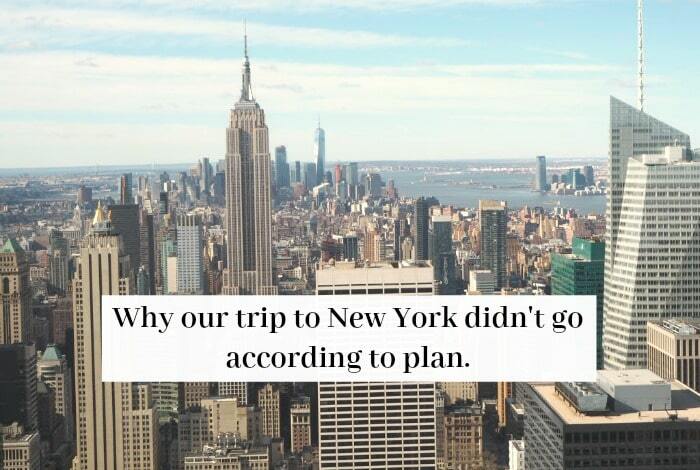 Why our trip to New York didn’t go according to plan….